Brian Kelly is a principal of Eastern Real Estate, which he co-founded with his business partner Daniel J. Doherty III in 2000. Since their professional partnership began in 1991, Brian and Dan’s entrepreneurial approach and long-term industry relationships have enabled them to develop and implement creative solutions to a wide range of commercial real estate opportunities. Over the past 25 years, they have transacted more than 25 million square feet of commercial real estate and developed more than 100 projects totaling over 12 million square feet with a value in excess of $2 billion. 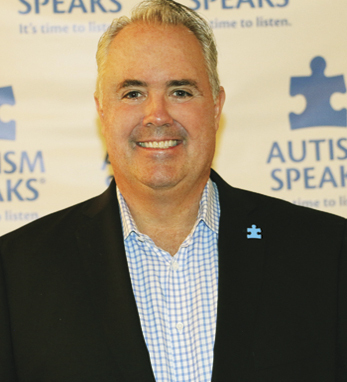 Brian is an advocate for autism-related causes, serving as chairman of Autism Speaks, the nation’s leading nonprofit organization related to autism. Kelly’s maternal ancestors hail from Mayo, Kerry, and Limerick and settled in New York. His paternal ancestors emigrated from County Cork during the nineteenth century. His great-grandfather’s cousin was none other than Honest John Kelly, congressman and sheriff of New York County and national Democratic power broker, who most notably succeeded Boss Tweed as leader of Tammany Hall from 1872 to 1886.